Good news to all Gourmets in Saigon! 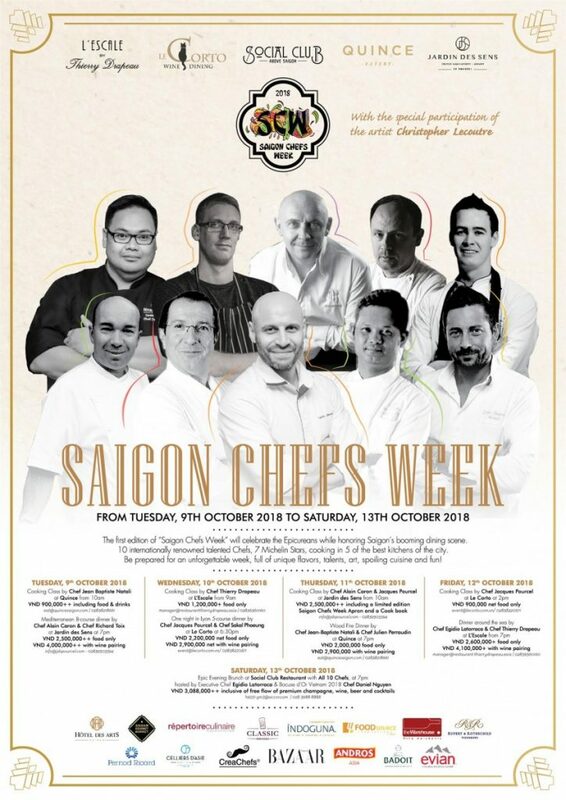 Saigon Chefs Week is coming. With the appearance of 10 renowned chefs, owning 7 Michelin Stars, cooking in 5 of the best restaurants in Saigon from 9th to 13th October – we welcome you to come and celebrate the birth of a very special and spectacular event with us, at Hotel des Arts Saigon. 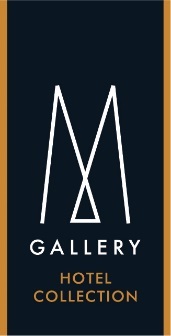 We are honored to be the host of this event, accommodated by Jardin Des Sens, Le Corto, Quince, and L’Escale. We will be hosting our very own Epic Evening Brunch buffet and free alcohol flow on the 13th to mark the splendid and fruitful end to the event this year. This buffet will be held at Social Club Restaurant, on the 23rd floor of Hotel des Arts Saigon. Social Club Restaurant at Hotel des Arts, a 5* luxury hotel in Saigon which is known for its chic design and artistic feels, is one of the best spots for adoring the above view in Saigon while appreciating fine cuisines and refined drinks. To uphold our food & beverage culture, we decided that this Saigon Chefs Week is a chance for Saigonese to have a taste of the most polished cuisines that all the experts prepare together, as a masterpiece of Food Art. Along with our very own Chef Egidio Latorraca who has been showcasing his cooking talents for the last months, the other 9 chefs are all remarkable and well-established chefs, especially 3* Michelin Chef Jacques Pourcel and 2* Michelin Chef Thierry Drapeau. All we ask from you is to be prepared for an unforgettable week, full of flavors, talent, art, spoiling cuisine and fun! Visit Saigon Chef Week’s Facebook Here. Visit Social Club Saigon’s Facebook Here. Visit Jardin Des Sens’s Facebook Here. Visit Le Corto’s Facebook Here.